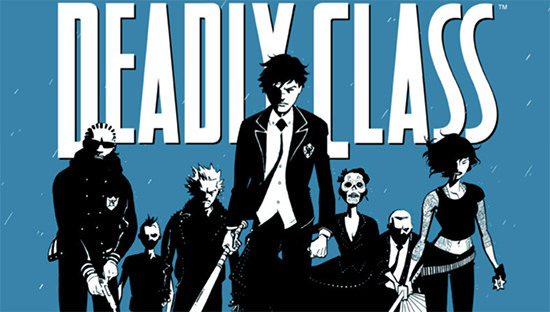 Syfy has given a series order to the Russo Brothers’ comic book based project, Deadly Class, based on the Image Comics graphic novel. The adaptation was created by Rick Remender (Deadspace) — who created the horror and action graphic novel series alongside illustrator Wes Craig — and Miles Orion Feldsott (American Koko). Set in a dark, comic book world against the backdrop of late 1980s counterculture, Deadly Class follows a homeless teen recruited into a storied private school where the world’s top crime families send their next generations. Maintaining his moral code while surviving a ruthless curriculum, vicious social cliques and his own adolescent uncertainties soon proves to be vital for the boy. The drama is described as a coming-of-age journey full of ancient mystery and teen angst. 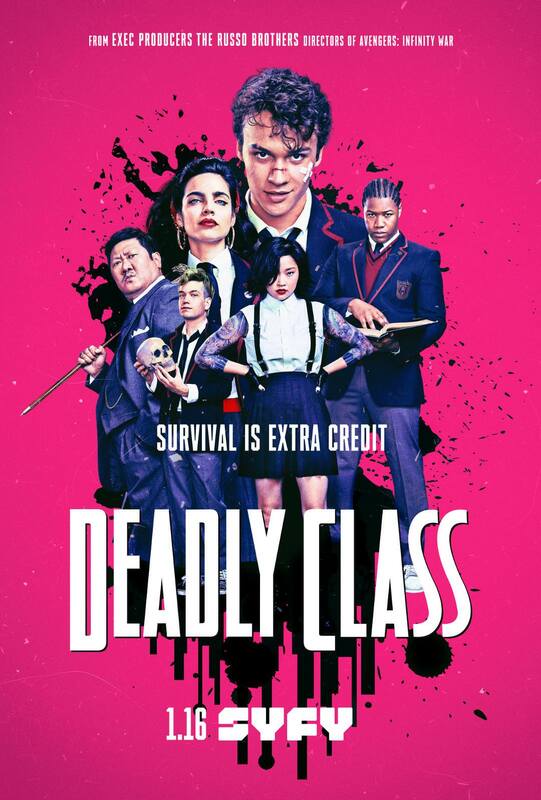 Deadly Class is a co-production between Sony Pictures Television Studios and Universal Cable Productions. Remender and Miles Orion Feldsott adapted the project for the small screen and will executive produce alongside Joe Russo, Anthony Russo (Avengers: Infinity War, Captain America: Civil War) and Mike Larocca (Spy). Adam Targum (Banshee) from Chipmunk Hill also served as executive producer on the pilot, along with Lee Toland Krieger (The Age of Adaline), who directed. Benedict Wong (Doctor Strange), Benjamin Wadsworth (Teen Wolf), Lana Condor (X-Men: Apocalypse), Maria Gabriela de Faria (Sitiados), Luke Tennie (Shock and Awe), Liam James (The Killing) and Michel Duval (Queen of the South) star. New York Comic-Con Teaser - "Just Say No"
The series will premiere on January 16, 2019.